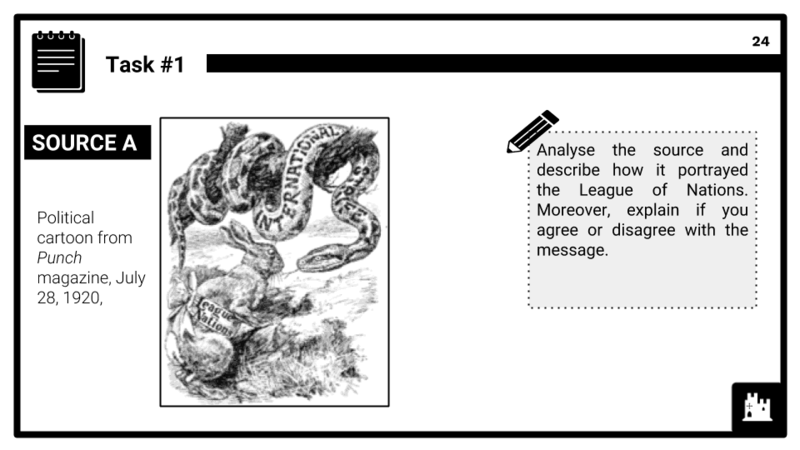 This Wider World Depth Study module covers option BB of the AQA 9-1 GCSE History topic "Conflict and tension, The inter-war years, 1918–1939". 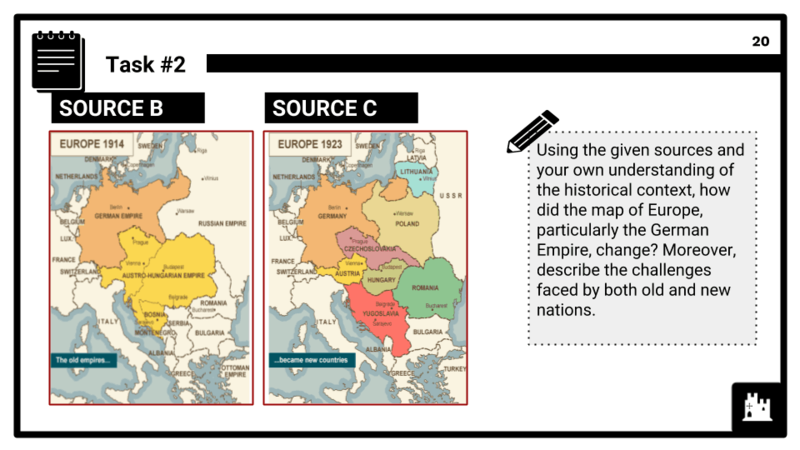 In this module, students will get to know the complex and diverse interests of individual leaders and nation-states, including the Great Powers. By examining the years between WWI and WWII, students will be familiarised with concepts including national self-determination, notions of internationalism, and the challenges that came with the terms of the Treaty of Versailles and attempts to revise it. 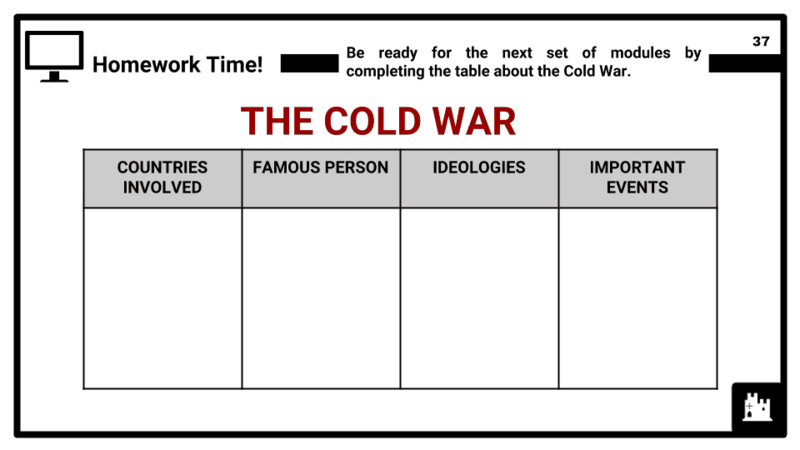 By looking in-depth into the causes of WWII, students will be able to see why issues were so difficult to manage and resolve and why the conflict occurred. Further to this, students will be able to analyse the roles key individuals played in shaping change, fuelling tensions and influencing international relations. The armistice: aims of the peacemakers; Wilson and the Fourteen Points; Clemenceau and Lloyd George; the extent to which they achieved their aims. The Versailles Settlement: Diktat; territorial changes; military restrictions; war guilt and reparations. Impact of the treaty and wider settlement: reactions of the Allies; German objections; strengths and weaknesses of the settlement, including the problems faced by new states. 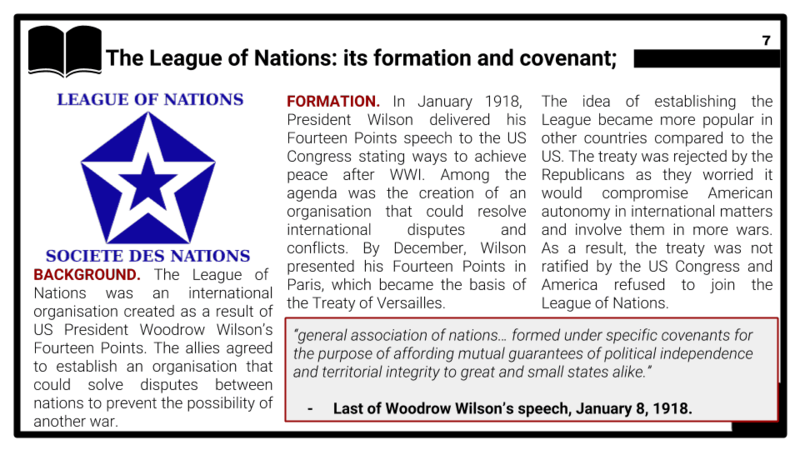 The League of Nations: its formation and covenant; organisation; membership and how it changed; the powers of the League; the work of the League’s agencies; the contribution of the League to peace in the 1920s, including the successes and failures of the League, such as the Aaland Islands, Upper Silesia, Vilna, Corfu and Bulgaria. Diplomacy outside the League: Locarno treaties and the Kellogg-Briand Pact. The collapse of the League: the effects of the Depression; the Manchurian and Abyssinian crises and their consequences; the failure of the League to avert war in 1939. The development of tension: Hitler’s aims and Allied reactions; the Dollfuss Affair; the Saar; German rearmament, including conscription; the Stresa Front; Anglo-German Naval Agreement. Escalation of tension: remilitarisation of the Rhineland; Mussolini, the Axis and the Anti-Comintern Pact; Anschluss; reasons for and against the policy of appeasement; the Sudeten Crisis and Munich; the ending of appeasement. The outbreak of war: the occupation of Czechoslovakia; the role of the USSR and the Nazi-Soviet Pact; the invasion of Poland and outbreak of war, September 1939; responsibility for the outbreak of war, including that of key individuals: Hitler, Stalin and Chamberlain.